CLIA Waived - NIDA 5 Drug Test: Easy to use and effective testing. CLIA Waived tests are drug tests that have been approved for testing (waived) by CLIA (Clinical Laboratory Improvement Amendment). Waived tests have been proved to be easy to use with easy to read results. In fact, they are so easy a third grader can use them! Not only are these tests easy to use they are also just as reliable. Because of these factors, CLIA Waved tests are quite extensively used in doctor’s offices, clinics and even in homes. There is currently a fairly large list of CLIA Waived tests available on the market. These include the urine E-Z Split Integrated Drug Test Cup, which comes in a 5 panel configuration. There is also an extensive line of CLIA test cassettes for human urine, available in the 3 panel, 4 panel, 5 panel and 10 panel assay. NIDA 5 refers to the five drugs of abuse that are required to be tested for by the National Institute of Drug Abuse (NIDA). The five drugs required for testing are Cannabinoids (THC), Cocaine | Amphetamines | Opiates and PCP. The NIDA 5 does not include for current drug usage patterns. More extensive information about this test can be found at NIDA 5 (click link). EZ2-501 - Five panel drug test cup that will test urine for Cocaine, Amphetamines, Methamphetamine, Marijuana and Opiates in one test. EZ2-555 - Five panel drug test cup that will test urine for Cocaine, Amphetamines, Methamphetamine, Marijuana and Opiates in one test. Includes "Built In" Adulteration Test Strips. MD urine DIP CARD drug tests are one of the most complete drug test kit available that will detect most of the illicit and prescription drugs on the market. 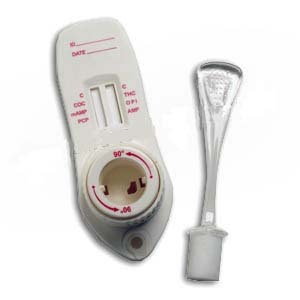 This easy an economical way to drug test and will provide results for up to 12 multiple drugs in the urine. The urine dip card drug testing kit will show results in less than five minutes with a shelf life of 16 - 24 months and if need it there are CLIA Waived available tests. Easy to use, fast results and excellent pricing is what defines these drug testing kits. The Amphetamine Single Drug Test Card is a low price one-step solution for on-site urine drug testing. With 99% accurate results, our single panel drug test is one of the best alternatives to laboratory testing and one of the most accurate drug tests on the market today. Laboratories typically make you wait 24 - 48 hours for results and charge high lab fees. With the single panel drug test, results are presented in 5 min or less, saving you time and money. Never worry about the tests expiring - each has a shelf life of 16 to 24 months. BULK PRICING - The more you buy the more you save! Call us 801-596-2709 for bulk pricing! The Single Panel Drug Test Card is a one-step solution for on-site urine drug testing. With 99% accurate results, our single panel drug test is one of the best alternatives to laboratory testing and one of the most accurate drug tests on the market today. Laboratories typically make you wait 24 - 48 hours for results and charge high lab fees, but with the single panel drug test, results are presented in five minutes or less, saving you time and money. Never worry about the tests expiring! Each has a shelf life of 16 - 24 months. The Oxycodone Single Drug Test Card is a low price one-step solution for on-site urine drug testing. With 99% accurate results, our single panel drug test is one of the best alternatives to laboratory testing and one of the most accurate drug tests on the market today. Laboratories typically make you wait 24 - 48 hours for results and charge high lab fees, but with the single panel drug test, results are presented in five minutes or less, saving you time and money. Never worry about the tests expiring! Each has a shelf life of 16 - 24 months. 5 Panel Drugs of Abuse Test, FDA Cleared and CLIA Waived drug testing card for detection of Marijuana, Cocaine, Methamphetamine, Opiates and PCP in urine. Simply apply 3 drops of urine to the test well and read results in 5 minutes. InvitroPro is distributed by TRANSMETRON. Transmetron is a worldwide distributor of professional drug test kits and supplies. Transmetron has been in business since 2003 and is one of the fastest growing drug test companies in the United States..
InvitroPro single panel drug tests for Marijuana(THC), Cocaine(COC) and Methamphetamine(mAMP). Now available to the public as an over the counter(OTC) device. 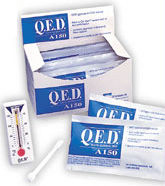 The Oxycodone Single Drug Test Card is a low price one-step solution for on-site urine drug testing. With 99% accurate results, our single panel drug test is one of the best alternatives to laboratory testing and one of the most accurate drug tests on the market today. Laboratories typically make you wait 24 - 48 hours for results and charge high lab fees, with the single panel drug test, results are presented in 5 min or less, saving you time and money. Never worry about the tests expiring! Each has a shelf life of 16 - 24 months.